Burger King’s Halloween Burger turns poop the kind of comically bright green that would humiliate most goths. The question on everybody’s lips, and other less-mentionable parts, is why? But while the poop is indisputably green, the dye causing it might not be. The dyes that make the bun black are a combination of Yellow #6, Red #40, Caramel Color, and Blue #1. Blue #1 is also known as Brilliant Blue FCF. Brilliant Blue doesn’t absorb well in the intestines, so it often comes out in the poop—it just doesn’t come out blue. The internet is full of concerned parents talking about giving their kids a purple drink or smoothie (made with red and blue food coloring) only to change green diapers or find green stains on underwear. Brilliant blue is often combined with tartrazine, a yellow food dye, to make green dye. A site called The Poop Report claims that blue food dye (Blue #5 this time) combines with bile to make poop green, although bile by itself can turn poop green. 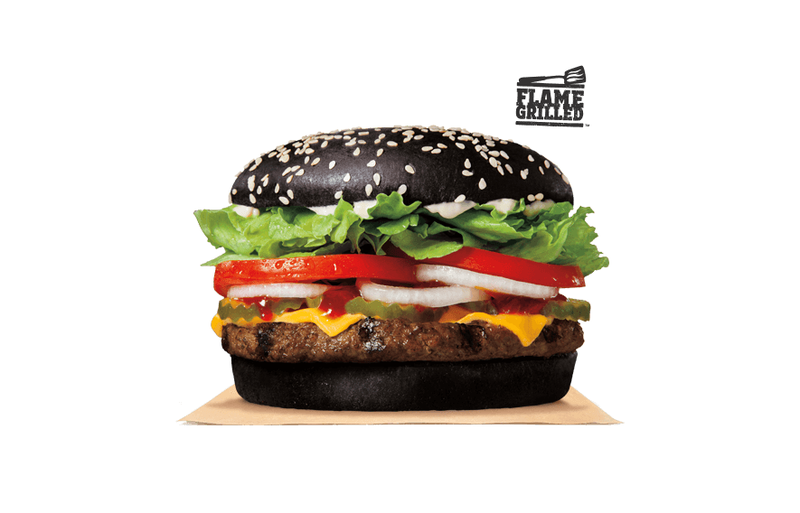 In the end, the green product of the black burger is probably the result of blue food coloring. The good news is that it’s coming out of you because it’s not getting absorbed into your body.